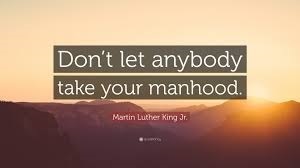 "Don't let anyone take your manhood"
Those six words are so profound, they come off your lips so smoothly, "don't let anyone take your manhood". Dr. Martin Luther King understood the importance of standing straight and never allowing anyone or anything to cause you to bend over. You see only when a man is bent over can any other man ride his back. As our communities continue to devastate themselves. 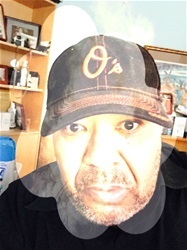 We have communities that have bent over and now these communities are carrying the weight of injustice, economic disparity, educational plight, and self-hate on the backs of communities that are being crushed from the pressure. You can't shake that weight of self-defeatism off, you can't hope that weight of self-hate off, nor can you govern that weight of doubt off. The only way truly to loosen the weight of oppression and injustice off is a unified effort of each and every person in those communities. Yes with determined effort, absolute faith, and an enduring love for each other can the weight be lifted and then we can all straighten our backs and fix the wrongs and make them right. Black on black crime, let's fix it, our crumbling schools, let's fix it, the ability to build black wealth, let's fix it, the ability to turn endless cycles of self-hate into generations of self-love, let's fix it. Dr. King in his final days understood that the solutions to the problems facing our community can only be solved by us. No outside force can do for us what we truly can do for ourselves. So as many of children continue to disavow education. Searching for the easy route. Let's teach them that only by sweat and perseverance will the struggle be won. We must think as ONE in order to Win. Are we as a people still in tune with the words, and actions of MLK Jr.? Will we continue to allow circumstances or circumvention take away our manhood? Or will we stand up united and sing to the skies I'm Black, I Am a Man and dammit I'm proud of it!